Barcelona [latin: Barcino; greek: Varkelóni] founded by the Laietani as Barkeno sometime before 250 BC, later restructured by the Carthaginians and Romans. Lies on the mediterranean coast in north-east spain, about 500 km east of Madrid, 900 km south of Paris and 300 km south-west of Marseille. Second largest city in Spain and 17th largest city in europe. Barcelona is the capital of the autonomous spanish region Catalonia and its economic centre. It has always played an important rule as a major harbour on the mediterranean coast and is the seat of the Union for the Mediterranean, an organization of european, african and arabian countries. 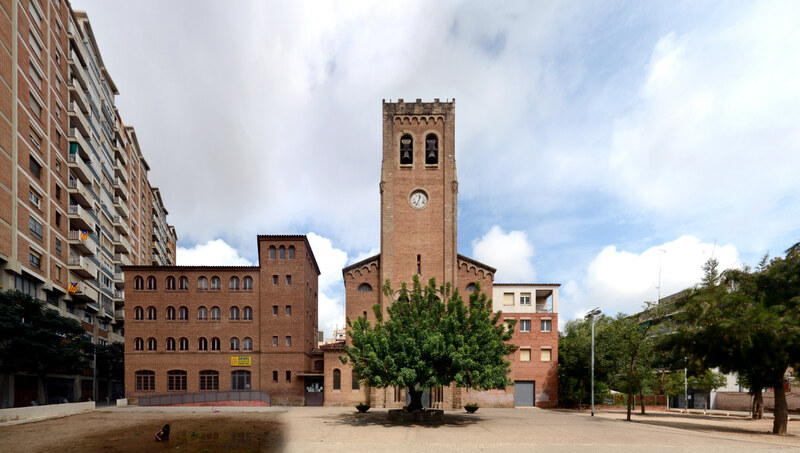 In 1992 it hosted the Olympic Games and it is listed as a UNESCO world heritage site with works by the modernisme architects Antoni Gaudí and Lluís Domènech i Montaner. Gaudís magnum opus, the Basilica Sagrada Familia which was started in 1882 and is scheduled to be finnished in 2026, is a major tourist attraction of europe. The Passeig de Gràcia is regarded the most elegant street of Barcelona and runs through the Eixample from the Placa de Catalunya in the south to the Gràcia district in the north. Here the leading modernisme architects created several representative buildings in the later 19th and early 20th century. Amongst the architects that worked on this street block we find Lluís Domènech i Montaner with the Casa Lleó-Morera at the left edge, Antoni Gaudí with the famous Casa Batlló, the second last on the right and Josep Puig i Cadafalch with the Casa Amatller on its left side. With all these architects and their distinct styles so close to each other this street block was later famously called the Mansana de la Discordia – meaning at the same time Apple or Block of discord and referencing greek mythology in view of this built competition of Modernisme. Find more infos and detail views in our archive or look for other Barcelona streetlines. We documented more than 50 streets and places in Barcelona. Find some unfinnished examples below.